Dickert is assistant professor in the School of Medicineâ€™s Division of Cardiology and in the Rollins School of Public Healthâ€™s Department of Epidemiology. Pentz is http://www.magliettedacalcioit.com professor of research ethics at the School of Medicine and Winship Cancer Institute. Co-investigators from Emory include David Wright, director of Emergency Neurosciences at the School of Medicine, and medical student Victoria Mah. Previous studies of public attitudes toward EFIC have asked people hypothetical questions: â€œWhat would you think if this was done to you?â€ Dickert, Pentz and their colleagues wanted to find out what people who had actually been part of an EFIC study had to say. The results of their investigation were published this April in the journal Resuscitation. The team interviewed 24 patients who were enrolled in an EFIC study and 37 patientsâ€™ surrogates. 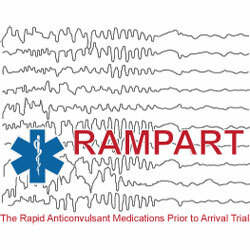 The broader clinical trial, called RAMPART, was comparing two anticonvulsant treatments for uncontrolled seizures when administered before arrival at a hospital. Participants came from Atlanta, Minneapolis, San Francisco, Cincinnati, and York, Pennsylvania. Of these participants, 73 percent said their enrollment in the study or their family memberâ€™s was acceptable under EFIC, and 10 percent were neutral. 17 percent said their inclusion under EFIC was unacceptable. Attitudes toward EFIC could be complex; some interviewees objected to enrollment for themselves or their relatives but said that conducting the study was in general acceptableÂ â€“ and vice versa. In addition, many interviewees did not appear to understand some aspects of RAMPART, such as the randomized nature of the clinical trial or whether the treatment was supposed to be short-term or long-term. The teamâ€™s results may be helpful in designing future EFIC studies and programs for informing the public about them. Before EFIC studies can be conducted, federal regulations require researchers to solicit public views on the study through a community consultation process. â€œOne important and encouraging finding in the PEER study is that acceptance of EFIC among PEER respondents was as high or higher than in most published reports of community consultation,â€ Dickert says. Chretien discusses in her editorial how EFIC researchers also have to make efforts to inform people about the study. Many EFIC studies have an opt-out option, such as a wristband or Magliette Calcio A Poco Prezzo national registry, that allow people to signal they donâ€™t want to participate. Â However, making large segments of the community aware of each study can be difficult, and community interest in wearing something like an opt-out bracelet appears to be low.Â The PEER study found little support among enrollees for opt-out wristbands, Dickert says. While most patients in the RAMPART trial had a history of seizures, traumatic brain injury can happen to anyone and is more likely to affect younger people, who are generally healthier. ProTECT III, an EFIC study led by David Wright, is going on at Emory and around the USA and is testing progesterone as an acute treatment for traumatic brain injury.Â Dickert has been interviewing patients in ProTECT III in order to understand whether patients in other EFIC trials view their enrollment differently.